What Is A Giclée Print, And Why Should You Care? 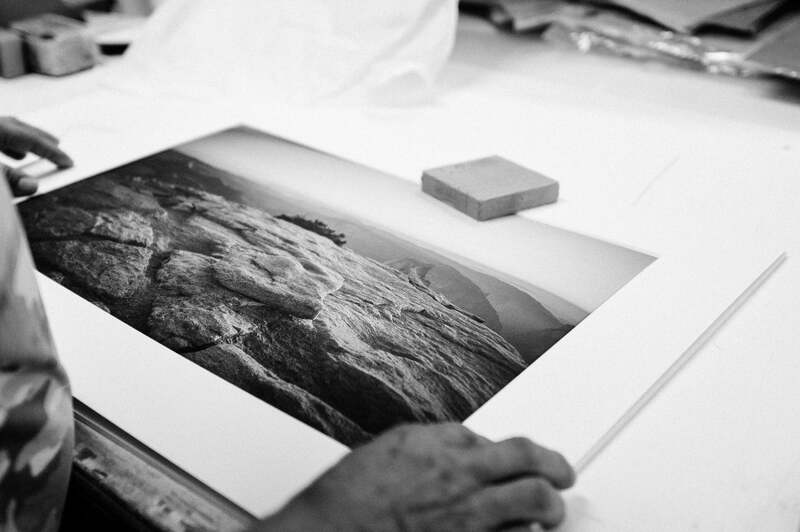 What Exactly Is A Giclée Print, And Why Should You Care? So, you've heard of giclée prints but aren't sure exactly what they are? Look no further. Giclée prints can be reproductions of paintings, photographs, or digital graphic designs, printed on high-end inkjet printers often with specialist inks and stock specifications to ensure the highest quality. Giclée prints capture the nuances and tonal depth of the original artwork, without the traces of machinery or screen printing found in lower-quality replications. Unlike common chromogenic or C-prints, they’re not prone to rapid fading, and the technique is equally viable for colour and black-and-white prints. Giclée prints are comparable to silver halide and gelatin processes, which are similarly found in high-end museums and galleries thanks to their enduring lifespan and seamless image quality. Giclée is an art-world buzzword that’s frequently used and rarely understood. They can be printed in small runs rather than mass production, meaning they’re ideal for building a high-calibre art collection - especially if you’re a new collector looking for affordable pieces that don’t sacrifice quality. In order for a print to be classified as giclée, there are four main criteria to consider - and no, downloading an image and using a regular inkjet printer doesn’t count. Here’s the breakdown, so you know exactly what to look for when snapping one up. First, the foundation. Though the paper can be canvas, cardstock or matte photographic paper, the highest-quality prints should use archival-quality professional series paper made from a 100% cotton or rag base. The paper used should also be acid-free, to ensure optimal longevity and retain colour saturation. Regardless of whether you’re handing your hard-earned over directly to the artist or to a gallery, they should be able to advise what kind of paper is tucked into the frame. Pigment-based inks are key to delivering a true giclée print. While most inkjet printers found in homes and offices use dye-based inks, the highly pigmented hues found in giclée prints are lightfast, and therefore less susceptible to bleaching and sapping as they age. As they’re powder-based, they’re also less prone to smearing, unlike water-soluble dye inks. Plus, they bond to paper like rainbow limpets. If well cared for, the integrity of the colours shouldn’t waver for over 100 years. With printers, bigger is better. Larger printers can accommodate more colour cartridges, making tonalities more precise. Typically, the original image is scanned on a drum scanner before being printed. Larger format images require an additional step: using the transparency technique, a preliminary replica is made and then scanned before printing. It’s also crucial that digital resolution is a high enough resolution to be printed in large format. Framing your print doesn’t just look great on the wall - it’s key to protecting it from UV damage and other environmental factors. Care should also be taken to use spacers between the canvas and glass to prevent sticking. It’s also essential to use acid-free materials when framing, ensuring that the print isn’t affected by any element that is in the frame with it, acid and fine art prints do not mix. Are you looking for your next fine art giclée print? Salt air, crashing waves and sun-kissed hair - we can almost feel the sand slipping through our fingers. Beach homes are instantly inviting, calming and contain a sense of warmth. Want Killer Content Like This in Your Inbox?